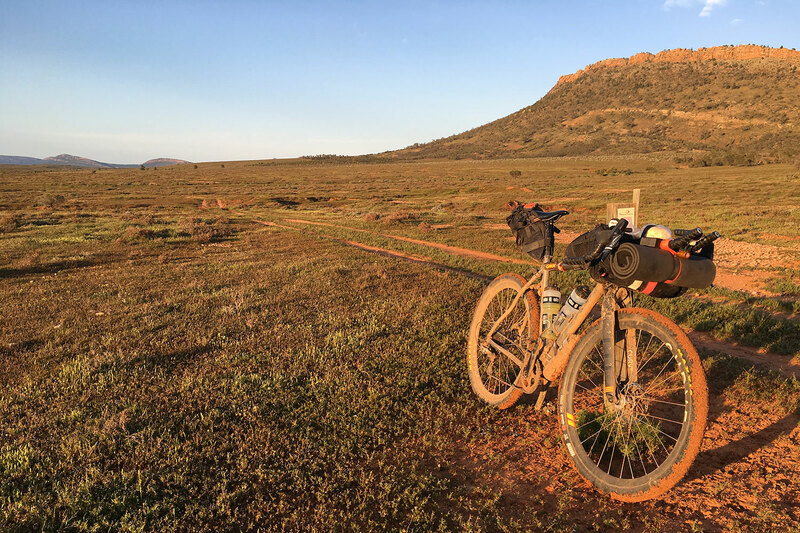 Entering your first self-supported race or bikepacking event? Wondering where to start with your training, or what the essential elements should be? Read-on to discover the essential training framework that has helped several athletes to their best-ever finishes in this popular style of event. Self supported races have seen a healthy increase in popularity over recent years. Whilst this style of racing is not new, much of what we now call professional road racing was originally run to this format. The Paris-Brest-Paris audax can trace it’s roots back to 1891, however the recent rise in media coverage and sponsorship has lead to a situation where new (or relatively inexperienced) cyclists are considering this race for their first taste of cycle competition. Before we commence training we should first consider exactly what it is we are training for, or to put it another way: what will be required in order to succeed in our event? With many of the cycling, and multisport events there is a degree of forgiveness for those of us who focus purely on the physical aspect of training. In a non-stop, self-supported race, often run over several days or weeks, there are so many other factors that impact the final outcome that a reliance purely on fitness can be the undoing of many an athlete. Many of these events see a huge proportion of athletes scratch from the race. Some of these are inevitable due to the harsh nature of this competition. A fair percentage, particularly those early on in the event, can be avoided by preparing adequately for the demands of this style of racing. The following elements are 10 of the most important essentials to prepare for in order to cement the key skills, mental attitude and fitness that is required for success in self-supported racing. 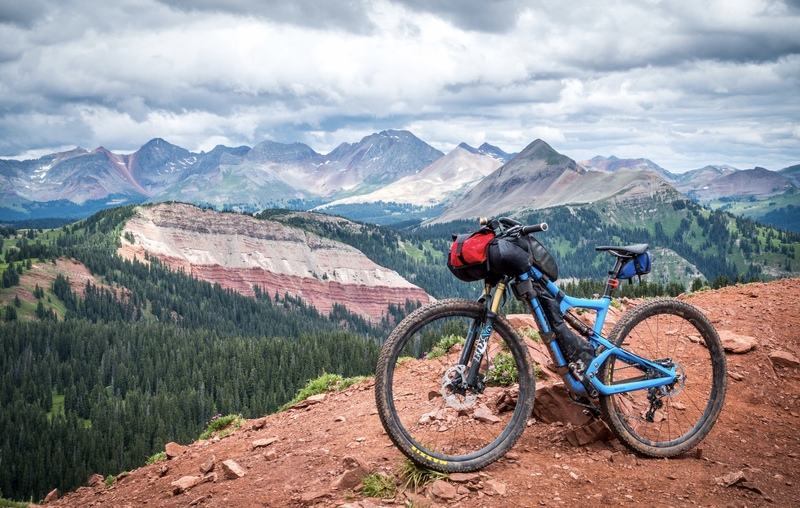 Training on a loaded bike prior to the event is essential for the first time bike packing competitor. 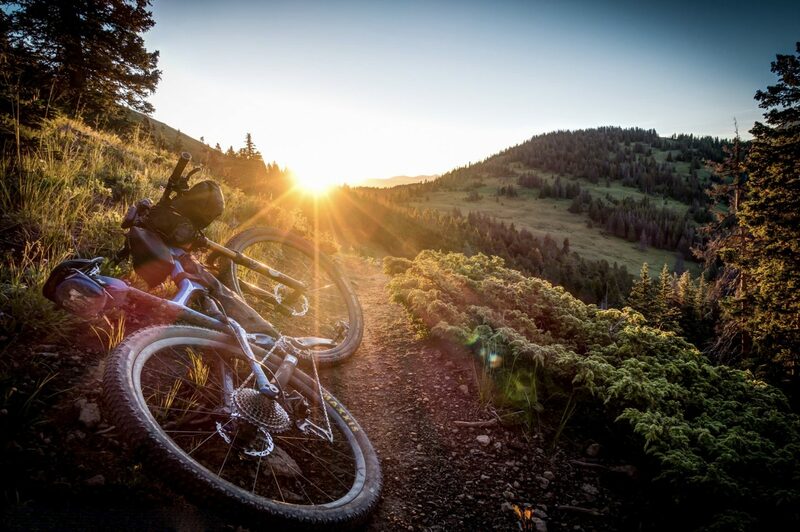 Whilst most athletes contemplating a self-supported race will be well accustomed to the handling characteristics of their bike unloaded, not all will have ridden a fully loaded bike. Can the athlete climb with current gearing once carrying the extra weight? Is the daily schedule realistic? If anything, it would be better to train “slightly heavier,” making race day less of a surprise. In the event that the athlete is coming from a low fitness level I recommend they add weight to the bike gradually as fitness improves. For all other levels I recommend that training on a loaded bike be done at least once a week through all the major phases of training. Training in position is a serious consideration that should not be overlooked. Many of the race-stopping ailments, such as saddle sores and abrasions, are brought on much earlier by adopting a position on the saddle that has not been adapted to in prior training. If the athlete is planning on using a clip-on style of time trial or aero bars, then this position should be adopted early in training and used extensively in the time leading up to the race. A bike fit specific to this new position is a worthy investment as saddle height, fore and aft measurements can vary hugely between traditional road and time trial positions, as can the comfort of saddles and the interaction between pelvis and saddle in some individuals. Riding in the TT position for prolonged periods can place a huge strain on the shoulders, back and neck, which ends the race prematurely for many. Training in position is the key to minimizing the chances of suffering needlessly with back and neck issues. I like to see athletes training in their race position for at least 12 weeks prior to competition. At pretty much every level of rider we see sleep become a factor in self-supported racing. At the sharp end we take this for granted: It’s hard to win these things if we spend too much time stopped. But as aspiration is often linked to ability, riders much further down the field have to operate on less sleep as their traveling speed is lower than the guys and girls at the head of affairs. Rehearsal of sleep-deprived scenarios is a wise investment in training time prior to the event. I like to get athletes to practice very simple tasks that they will encounter in the event whilst in a sleep-sensitive state but safe environment. A good exercise example would be setting an alarm that awakes the athlete in the middle of the night. The task once the alarm goes off is to don a head torch, grab their pre-packed bike and take it into the garden. There they set about unpacking their bivy and sleeping bag, set up their planned competition sleeping arrangement and then attempt to go back to sleep. Fear related to sleeping in the wild, remote, or even heavily populated areas should first be overcome in training. Several overnight excursions that replicate the environment likely to be encountered during the race should be factored into the training period prior to the race. Sleep is critical to performance and recovery; and with time at a premium in this style of racing nothing in this area should be left to chance going into the event. Finding our own way from point-to-point can add additional time to anyone’s race. Each stop, or indecision, decreases the average speed, which in turn eats away at valuable time for resting and eating. Practicing navigation, both with GPS and traditional maps is essential to a solid race performance in the main event. Familiarity with your GPS device is crucial, and regular use should be scheduled into the training plan. Complete some shorter mock events to practice navigation in unknown terrain prior to the event, which will help ensure that the least amount of time is squandered. It is wise to practice navigation on a regular basis leading up to the event, in various weather conditions and at different times of day and night. I like to factor in at least one navigation ride per week for the eight weeks of an athlete’s build phase of training. Much like the GPS, any device that uses (or generates) power, and requires familiarity for efficient use, should be used extensively beforehand in training. This list might include items such as: tracking devices, dynamo hubs and associated charging cables/ports, lights and mobile phones. Nutrition for sport is a much studied and often changing area of sports science. Whilst many athletes may have tried and tested solutions for their shorter or supported races the “eat what you find” nature of self-supported racing should be prepared for and practiced. The rules for this competition dictate that you either start with your food on you or buy it on route. Sending your favorite energy products ahead is not allowed in many events, and finding it from regular retail outlets can range from impractical to impossible. There is a huge calorie requirement for riding continuously, day after day, so the hunt for replenishment is likely to become a major focus throughout the event. Researching your event, the shops or retail outlets you are likely to come across (a strategy employed by the most competitive athletes in the field) should be employed by all. Know what will be available, what might be available, and also what is not. By practicing your nutrition regularly in training,you can reduce your chances of encountering gastric distress and cycling discomfort due to unaccustomed eating. This style of eating strategy is easy to integrate into the plan when a navigation ride is part of the weekly schedule. Whilst it’s not always possible to replicate the exact terrain or conditions we may encounter on our race, it’s often the case that we sometimes shy away from great training opportunities in favor of a softer option. If the desire is to successfully complete a race where several days of rain are the norm, then developing an attitude toward embracing inclement weather in training sets us up for a greater chance of achieving our desired outcome. Likewise a positive attitude toward terrain similar to that expected in our event, and focused practice in said terrain, greatly increases the odds of a positive result. My work with many endurance athletes has taught me that a common question, or fear, is not knowing if covering the distance is possible. Answering this question to some degree in training helps to allay fear, improve motivation and improve the chances of success. To do this with regards to self-supported racing it becomes important to embrace all the previous points and to set benchmarks and tests relevant to the target event. Much has been written about mental toughness and sports performance. Within the sphere of ultra-endurance, many top athletes attribute a focus on toughening up mentally with the success they enjoy in sport, and often their lives beyond competition. Understanding the demands of the event, rehearsal of the toughest elements and challenges one faces, and expanding our repertoire of relevant skills, all help to build the solid foundation upon which confidence and resilience are built. Looking out the window, seeing it’s pouring with rain or baking hot, and saying to oneself, “now is a perfect time to go training for my event,” all help to toughen us up for the challenge ahead. When it comes to riding and racing long distances it can be easy to fall into the classic trap of believing “more is better.” Performance at all levels is dependent on training being relevant to the athlete, their current ability, training history, and time available to train. While some long rides may be necessary for adaptation, mind-skills, rehearsal and fun, many of the fastest racers in this branch of the sport cite a focus on shorter and faster workouts being the mainstay of their training and key to their success. Often they say their longer rides were performed more for enjoyment of their sport rather than essential to performance. The late Mike Hall, multiple record breaker and race winner both off-road and on, and Josh Ibbett, winner of the Trans-Continental in 2015 and Italy Divide in 2017, both went on record in recent years stating that their preferential focus on shorter and higher intensity sessions were essential to their race success. In years gone by it was somewhat harder to quantify training, fatigue and assessing the effective dose of training. With the more recent advancements in hardware such as powermeters, heart rate monitors, and GPS systems, combined with the powerful tools within TrainingPeaks and ever more knowledgeable and experienced coaches, it has become possible to develop as a competitive ultra-endurance athlete without giving up the day job or never seeing your family.